Taking The Charge Podcast Episode 207: Not a lot of hoops to talk about this week but the qualifiers for EuroBasket 2017 are tipping off. 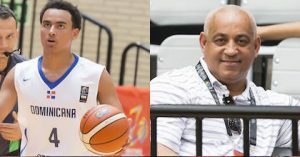 We briefly set the stage for that and then go into the interviews with Justin Minaya of the U17 World Championship team from Dominican Republic and his father, Omar Minaya, former GM of the MLB Montreal Expos and New York Mets. Episode 207: We talk very briefly about the EuroBasket 2017 qualifiers and then go into our interviews about hoops and hardball with two members of the Minaya family.